The development of numerically-controlled machine tools is a top priority, and the flexibility, machining accuracy, and efficiency of the machine tools should be greatly improved, prompting a fundamental shift in our manufacturing and processing levels. Analysts pointed out that the rapid growth of the manufacturing industry has stimulated the demand for domestic machine tools and promoted the technological progress of domestic machine tools. At this year's machine tool exhibition held in Beijing, we are looking forward to many domestic machine tools. Compared with ten years ago, the level of CNC machine tools in China has increased a lot. Ten years ago, China could not produce five-axis linkage machine tools, and now there are several domestic brands. The price of similar products in Japan has been forced to drop sharply. Some other heavy-duty machine tools have reached the international advanced level, and domestic five-axis machine tools are also a landmark achievement. The remarkable progress in the level of machine tools in recent years has enabled us to achieve breakthroughs in some manufacturing sectors. However, we still have not mastered production technologies for some important high-end CNC equipment. This has caused us to be constrained in some of the most important manufacturing sectors such as large aircraft and integrated circuit manufacturing. Therefore, to achieve a full-scale manufacturing industry, high-end numerical control equipment still has to overcome difficulties. In advanced technology, we are still in the stage of follow-up. China's CNC machine tools still have a gap in terms of speed and precision. The same specifications of the product, foreign machine tool speed is probably three times the domestic machine tools, accuracy is also close to an order of magnitude higher. 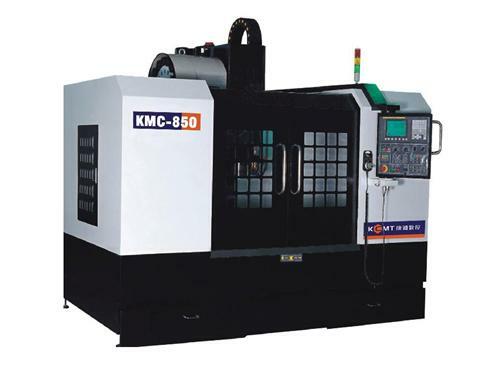 CNC machine tools are a very complex industry in the production process. The technical bottleneck of domestic machine tools is hard to attribute to a single specific link. In general, CNC machine tools consist of digital control systems and machine tools. China has a gap between these two aspects. On the one hand, high-performance CNC systems are the key factors that determine the performance and cost of the entire machine. The domestic high-end CNC machine tools exhibited at this year's Nanjing Expo use CNC systems from foreign companies such as Siemens or Fanuc. The domestic CNC system has obvious gaps from the advanced world level in terms of high-speed, high-precision, five-axis processing and intelligent functions. This is due to the difference in the architecture of the domestic CNC system (hardware platform, software platform, field bus), high-speed and high-precision control algorithms, and servo drive. On the other hand, functional components such as electric spindles, double-swinging heads, turntables, and nano-precision gratings, as well as the core technologies for the design and manufacture of complete machines, are also key constraints for manufacturing high-end machine tools in China. The improvement of the overall technology of CNC machine tools in China is ultimately inseparable from the support of advanced functional component industries. The huge domestic market demand is a positive factor in stimulating technological progress. Outstanding machine tool network expects that by 2020, high-end CNC machine tools needed in various fields of manufacturing will be produced in large quantities from China.